Bethany Beach Delaware Real Estate for sale - Delaware Beach Real Estate. Displayed below is an index of available Bethany Beach Real Estate Properties currently offered for sale. 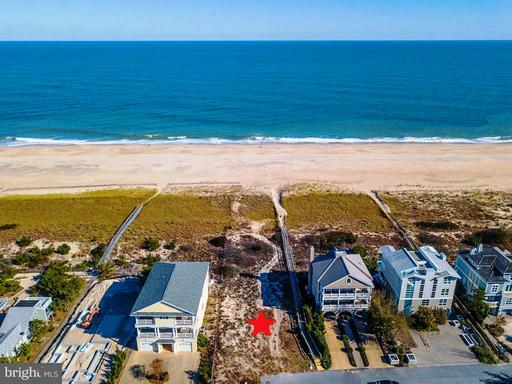 Click on the property photo or the address for each individual Bethany Beach Delaware property full details, satellite map of the location and all amenities. For a more detailed & refined search of all Bethany Beach Real Estate Properties on the Multiple Listing Service (MLS) consider using the detailed search page located here: "Detailed Bethany Beach Real Estate Properties search." Prime Oceanfront lot in The Retreat. Short walk to downtown Bethany Beach. Imagine waking up to sunrise over the ocean, the sound of the ocean crashing onshore and living just steps from the beach. Lot is cleared and ready for your very own castle in the sand. Nothing prepares you for the breathtaking view that surrounds you when you enter the great room of this home. Panoramic views from the kitchen, dining area & living room. This home rests on a 75 foot lot over looking a private, guarded beach. Spacious bedrooms including 3 bedrooms on the ocean. The "Grand Master" is located on the entire top level of the house and has views of the entire coastline. This home may be shown any time after April 22. A beautiful coastal style home with fabulous bay views. Like new condition with lots of upgrades: 2 kitchens (upstairs and downstairs) , soaking tub in master suite, 2 gas fireplace, granite counter tops and custom cabinets, elevator, and much more. Built by a local builder.Enjoy outside living with a hot tub, outside kitchen, gazebo, 2 boat docks and a boat lift. What more could you ever want? Also has an oversized garage area under the home and a whole house generator. Don't miss seeing this home with stunning views from all rooms!! Surrounded on 2 sides by open water. Call to see! 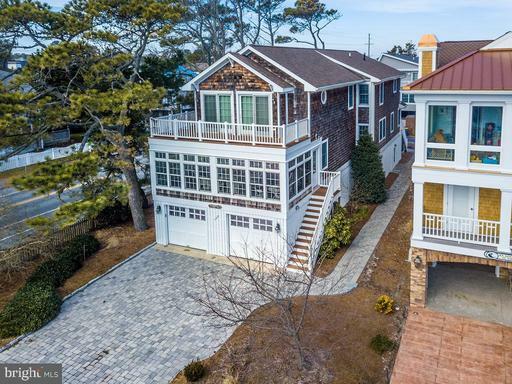 The ultimate coastal-style beach home just 2 short blocks to the heart of downtown Bethany to enjoy gourmet restaurants, boutiques, evenings on the boardwalk with free entertainment and s'mores and movies on the beach. During the day, enjoy amazing guarded beaches for fun and sun. This lovely custom-built home by a very popular builder reflects pride of ownership and has been beautifully maintained over the years by the owners. You will enjoy the sun-filled 3-season room with southern exposure in the front, then step into a cheery and spacious living area with a gas fireplace, large kitchen/dining area with custom cabinetry, big center island and stainless steel appliances -- a wonderful gathering place for a joint-effort in preparing dinners for the big crowds. Spend the evening in the TV/game area for cards or scrabble, or relax on the private rear deck. On the 2nd floor, you'll find an inviting ensuite plus 4 guest rooms. This home is perfect to start your beach memories this summer. Upgrades include hardwood floors throughout, custom built-ins, central VAC, tiled bathrooms, Rinnai hot water tanks, 2 outdoor showers, plus custom paint and wallpaper. Excellent rental history at $5000 p/ week for 7 weeks -- lots of potential! 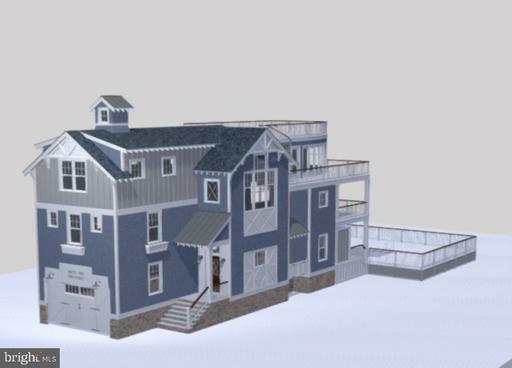 Amazing opportunity to build your own dream home in downtown Bethany Beach. Large corner lot on ocean block...just one from oceanfront. 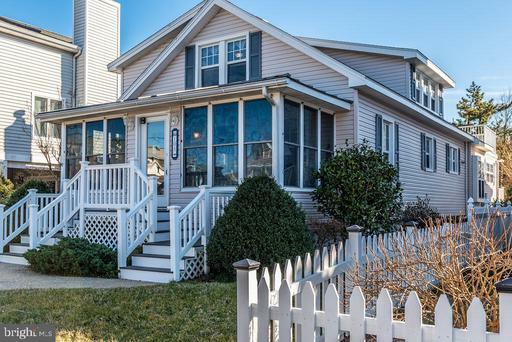 On ocean block, just steps from the Bethany Beach boardwalk. 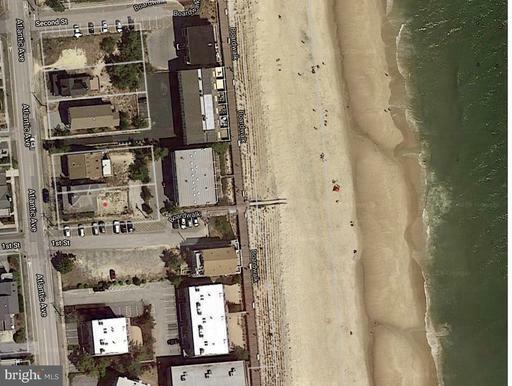 No need to get frustrated searching for a parking spot, your driveway would be closer to the beach than a street spot. 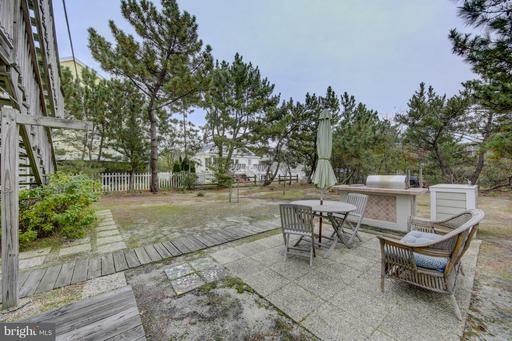 This property is located less than 30 feet to the boardwalk. Sun and fun is right outside your doorstep. Once you arrive here, just park your car and relax. There's no need to move it. This property is located less than 1200 ft from Garfield Parkway. The Bethany Boardwalk, shops, restaurants, mini-golf, arcade, playground and bandstand with live entertainment are just steps away. This premier property also has amazing beach and ocean views...build your dream home and let your beach memories begin!!! 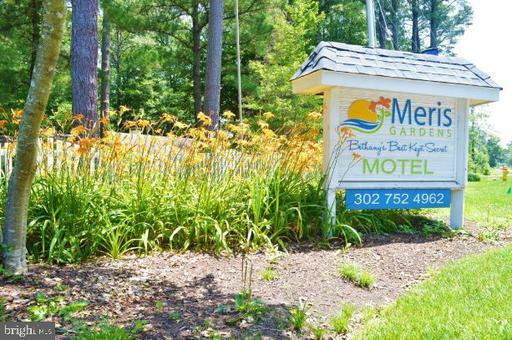 Just steps to the beautiful beaches and boardwalk in Bethany Beach. A wonderful and quaint vintage-style beach cottage that is in amazing condition. You will find the 3-season porch as you enter before proceeding to an inviting living room with a gas fireplace, cozy dining area, kitchen with lovely cabinets, new appliances and table space to enjoy your morning coffee, a 1st floor ensuite and 2nd bedroom or TV room; 2nd floor offers 4 bedrooms and bath. Plus a deck, outdoor shower, workshop/shed, parking and landscaping. This home has many memories and lots of history and charm and has been loved and enjoyed by this family for 40+ years. You will discover the built-ins, hardwood floors, smaller closets, and staircase reflective of the past. NO Bethany Beach Taxes and Private Gated Beach! Majestic 5 bedroom coastal home features an inverted floorplan and ELEVATOR!!. Large backyard and 1592 ft of multiple decks ideal for entertaining family and friends after a beach day. Offered fully furnished, this home is ready to move in and enjoy the beach life. Neighboring Sea Colony Open Promenade provides Ocean Views not typical for 3rd home from beach. Views from living, dining , kitchen and decks! Middlesex Private Beach . ELEVATOR makes it easy and safe when you have little ones, luggage and groceries! East to West decks open out from living area, sunroom and most bedrooms ! Home features spacious great room . upgraded kitchen cabinetry and counters with island, 2 spacious master suites,large jetted tub, 3 additional bedrooms, 2 car garage,carport & workshop, storm shutters, wet bar, cedar closet, central vacuum,, lighted stairway. Woodsey, large backyard with built in grill area and sink allows for backyard games and cookouts after refreshing outdoor showers. Offered fully furnished, this home is ready to be enjoyed . Never rented but has excellent rental potential of 65k in gross rental income !!! !